The ranking of the institutions across the country is based on the methodology outlined by the National Institutional Ranking Framework. Seven IITs are among the education ministry's top institutions. 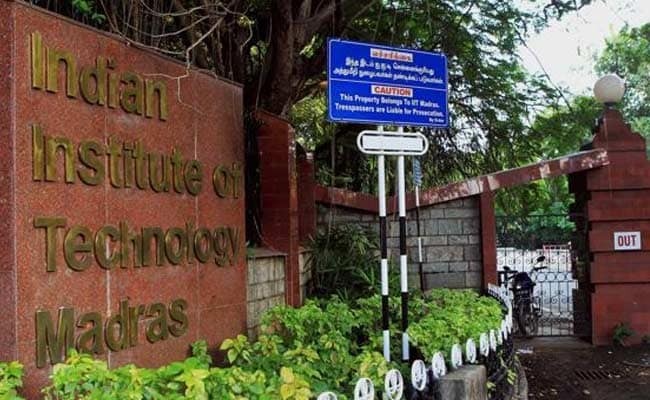 The Indian Institute of Technology Madras tops the list of higher education institutes released on Monday by the Ministry of Human Resource Development. The Indian Institute of Science (IISc), Bangalore, is at the second spot; while IIT Delhi is at the third spot. The ranking of the institutions across the country is based on the methodology outlined by the National Institutional Ranking Framework or the NIRF, approved by the education ministry. The first list, based on this framework, was published in 2016. President Ram Nath Kovind, announcing the 2019 list, said: "While there are islands of excellence, both in the public and private sectors, overall standards are uneven. As our higher education infrastructure continues to grow and enrollment rises, it is important to lift the bar." Seven IITs are among the education ministry's overall national ranking of higher institutes this year. Jawaharlal Nehru University in Delhi is at the seventh spot. All India Institute of Medical Sciences in Delhi ranks first among the medical sciences institutes and the National Law School, Bangalore, tops the list for law colleges. Jamia Hamdard, based out of Delhi, has been ranked as the best pharmacy institute, and the Indian Institute of Management Bangalore ranks first among the management institutes. In the national ranking of colleges, Delhi University's Miranda House gets the top spot; while St Stephen's is at the fourth spot. IISc Bangalore topped the list in university category, followed by JNU and the Banaras Hindu University. A total of 3,127 institutions participated in the ranking process. IIT Madras Students Allege Harassment, Dean Says "Not Whole Picture"